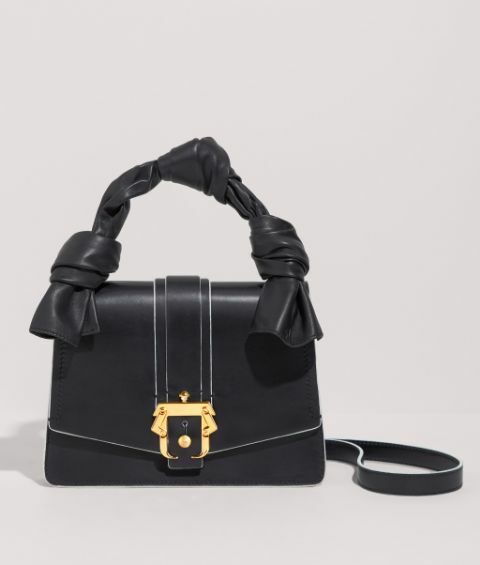 Arianna is the newest name to enter Paula Cademartori's fabulous world of unrestrained creativity, and is set to make quite an impression. 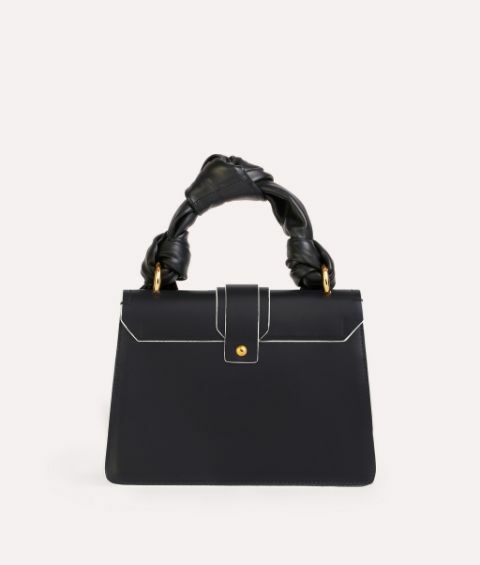 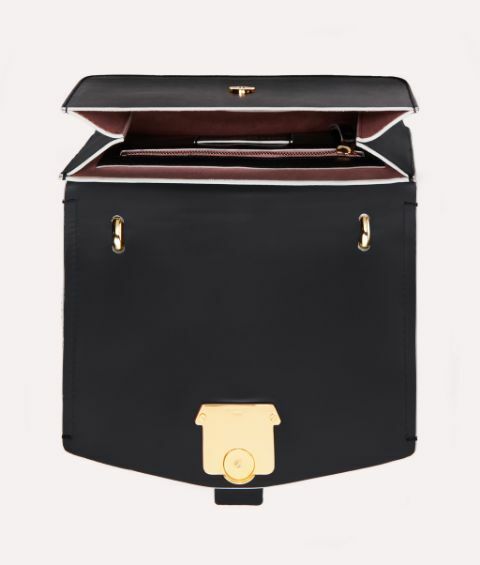 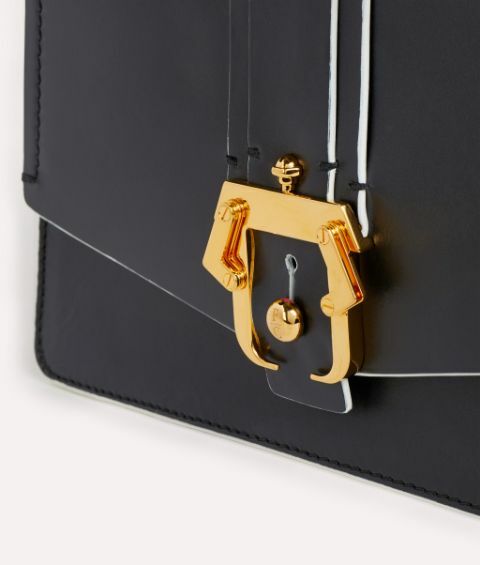 Made in Italy from soft calf leather, the Petite design combines an all black architectural structure with the glamour of the handle's soft, adjustable tie detail. 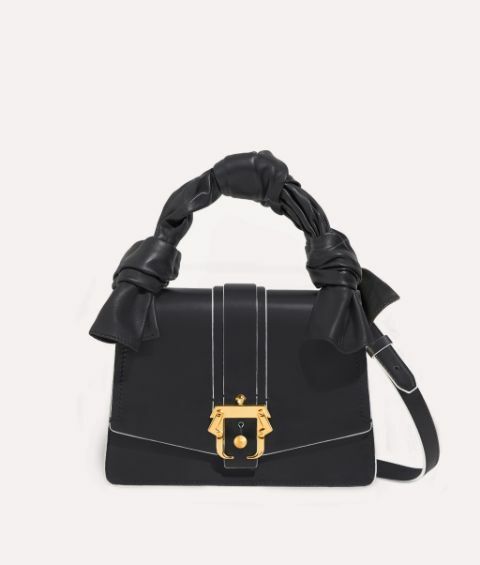 The addition of a slim shoulder strap makes this thoughful piece as functional as it is chic.